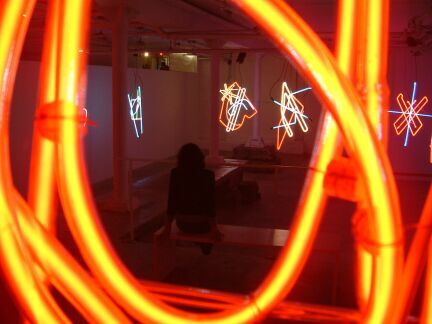 to build recyclable neon sculptures. who recently completed a residency at SPACES Gallery. and will "set about on a mystery tour of Europe" for 2 more weeks.